Following Defense Secretary Ash Carter’s recent announcement that all combat jobs would now be open to women, results of a survey given to more than 7,600 of America’s special ops forces have been released, showing an overwhelming majority of male commandos are opposed to the decision. Most of the respondents were young, white married men who are worried that the presence of women in their small teams could create complications in their home life, sexual harassment or affairs. They believe the risk could affect the family-like trust of the group. After Carter’s announcement, Gen. Joseph Votel posted a memo detailing the decision and noted that women have already moved into special ops jobs, such as helicopter pilots and crew, members of cultural support teams in Afghanistan and in civil affairs and information operations. 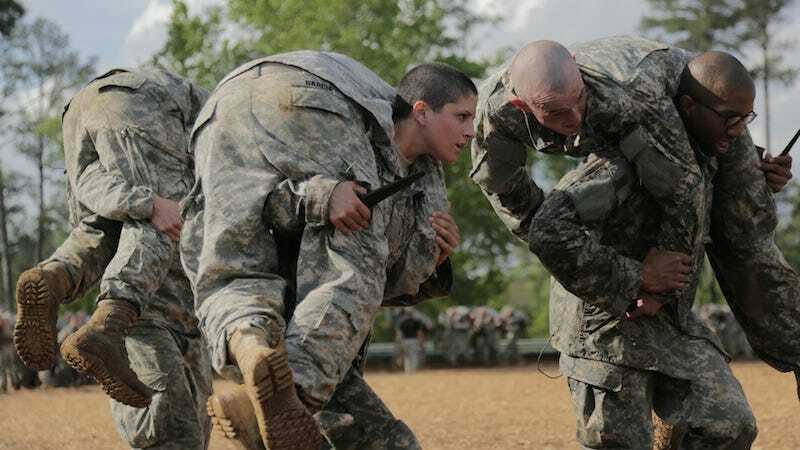 The decision has opened about 220,000 military jobs to women.